I coach players with varying degrees of skill. Once in awhile we’ll review a round played at a high level of competition that was going well then fell apart in the middle of the round – that’s typically when problems occur due to what I’ll be addressing below. The swing teacher side of me would ask probing questions about where strokes were lost, check out his or her technique, then get to work on correcting possible technique errors. The mental coach side of me would tend to give advice such as “stay in the moment, take things one swing at a time”, and “breathe”. Great and maybe even relevant advice, but I’ve learned through experience that often problems seem to be mental, when they’re not. Now I ask my students about something else first – hydration and nutrition. My research started after I noticed that my own mental energy seemed to be waning on occasion, and that as a result my concentration got a bit scattered and I didn’t play up to par. I knew what to do, but couldn’t execute. Awareness of the problem. You should have that after you read this article. Hydrate, drink fluids – even in cooler weather. Water works just fine, avoid sugary drinks and drinks loaded with caffeine. Eat, have a good meal including some protein one to two hours before competition (or when you play), or at least have a protein shake. Take a protein drink with you to sip on during your round. 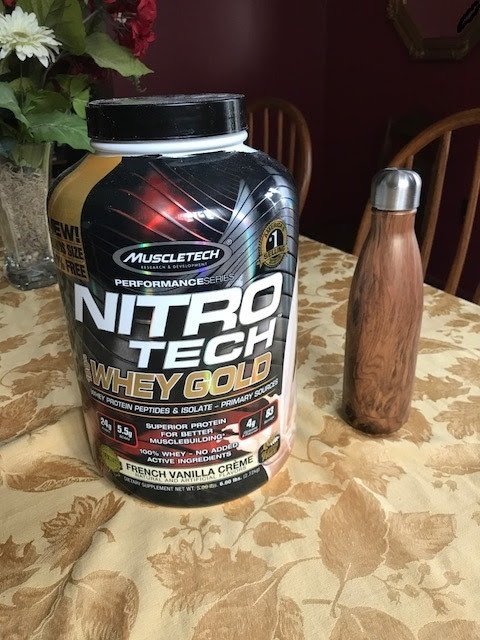 I use a drink container that I received as a Christmas present that keeps anything hot or cold for at least six hours (fits easily into a golf bag), and a protein powder that I get from GNC. Don’t eat things that are high in sugar content or complex carbohydrates that will spike your blood sugar levels. Those things will make your energy levels go up and down, and when your body and brain are at a low energy level you can easily slip into a bad mood. When your levels are normal, your can cope with a less than perfect drive, or even a three putt. When your levels are down, that same situation in the middle of your round can make you go ballistic mentally, and there’s a pretty good likelihood that your round will be on the way to tanking. Hydrate during your round, water is perfect for that. Eat well before your round, and snack during the round. Fruit, nuts, trail mix (without the M&M’s) are all good choices. A protein drink kills two birds with one stone – protein and hydration. Sip on one during your round, but don’t forget to also drink water. Last but not least, keep playing with your normal temperament when you go through the inevitable ups and downs of a round of golf. Everyone has them, and he (or she) who handles them with a level mood usually scores best. Try all of this – you and your score will like it!